Around 6:30 p.m., on February 1st, a motorcyclist — identified as a 33-year-old man — was traveling north on Highway 61 atop his 2012 Honda CBR motorcycle when he was struck by a vehicle that was traveling south. The driver of the vehicle failed to yield, took a left turn across the northbound lanes, and struck the victim. 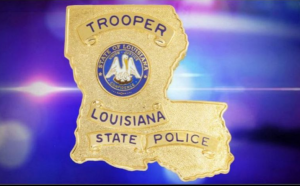 The motorcyclist was transported to a Baton Rouge hospital where he ultimately lost his life because of the injuries sustained in the accident. Local authorities stated that the young man had taken proper safety precautions and was wearing a helmet. In 2016, there were 5,286 motorcyclist fatalities reported, an increase of over 250 fatalities from the previous year. Helmets saved the lives of 1,859 motorcyclists in 2016. Helmets could have also saved 802 more lives had they been worn. In 2016, 27 percent of motorcyclists involved in a fatal accident lacked a valid motorcycle license. Motorcyclists had the highest percentage of fatal crashes where the rider was alcohol-impaired, accounting for roughly 25 percent in 2016. Motorcyclists that died in traffic accidents at night were three times more frequently riding drunk compared to those driving during the daytime in 2016. These eye-opening statistics show just how dangerous riding a motorcycle can be if you aren’t properly prepared. Even then, motorcyclists must take caution riding throughout Louisiana as car accidents can happen as the result of a negligent driver. Have you or someone you love been involved in a motorcycle accident? Our Louisiana personal injury attorneys want to hear your story. A motorcycle accident can be a traumatic experience to face alone, but thankfully, you don’t have to shoulder that burden by yourself. The New Orleans car accident attorneys at Cardone Law Firm have over 40 years of legal experience fighting for full and fair compensation for victims of traffic accidents like you. Contact us at 1-888-89-CARDONE to schedule your free legal consultation today.